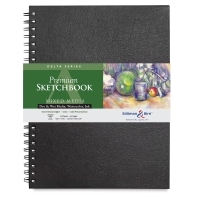 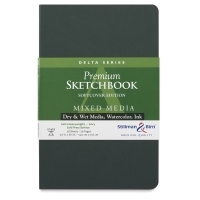 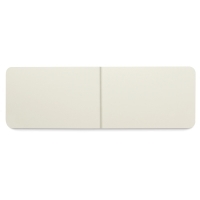 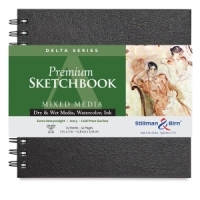 Stillman & Birn Delta Series Archival Sketchbooks are available in both hardbound and wirebound formats, and contain multiple sheets of 180 lb (270 gsm) ivory paper with a rough surface. 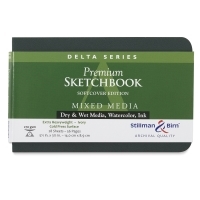 The paper has a substantial tooth, plus enhanced wet strength and tear strength. Available in hardbound, wirebound, and soft cover formats, these sketchbooks contain multiple sheets of 180 lb (270 gsm) ivory paper with a rough surface. 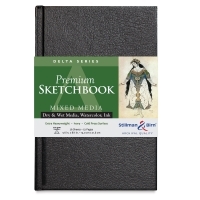 Ideal for multi-media renderings, the paper has a substantial tooth, as well as enhanced wet strength and tear strength.